Description: Looking for a starlet to feature in your living room? 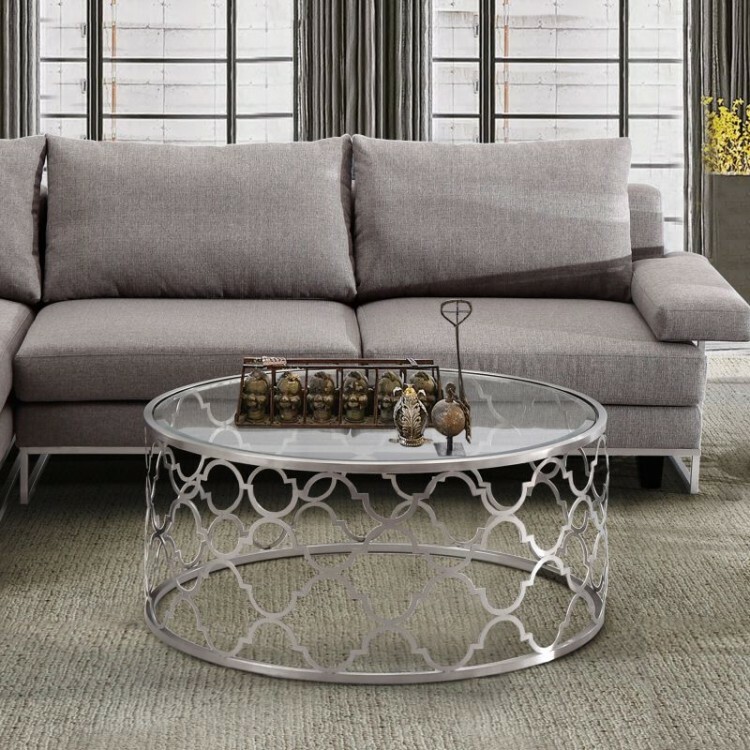 Our Armen Living Florence Contemporary Coffee Table is nothing short of romantic and graceful and has a Rounded Clear Glass that completes this polished look. 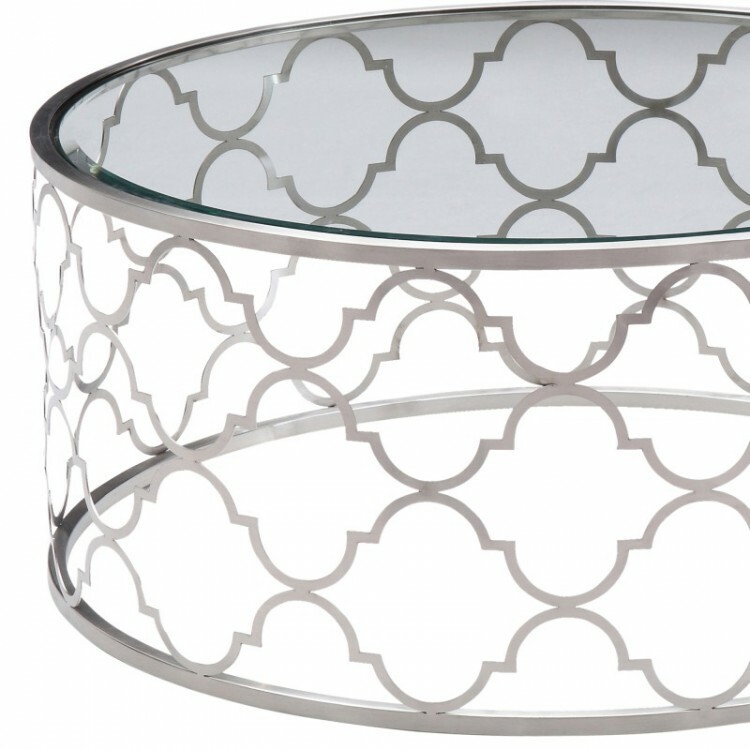 It's Brushed Stainless Steel laser-cut geometric design works well with any supporting cast of furniture and makes for a prefect accent table in any living room. 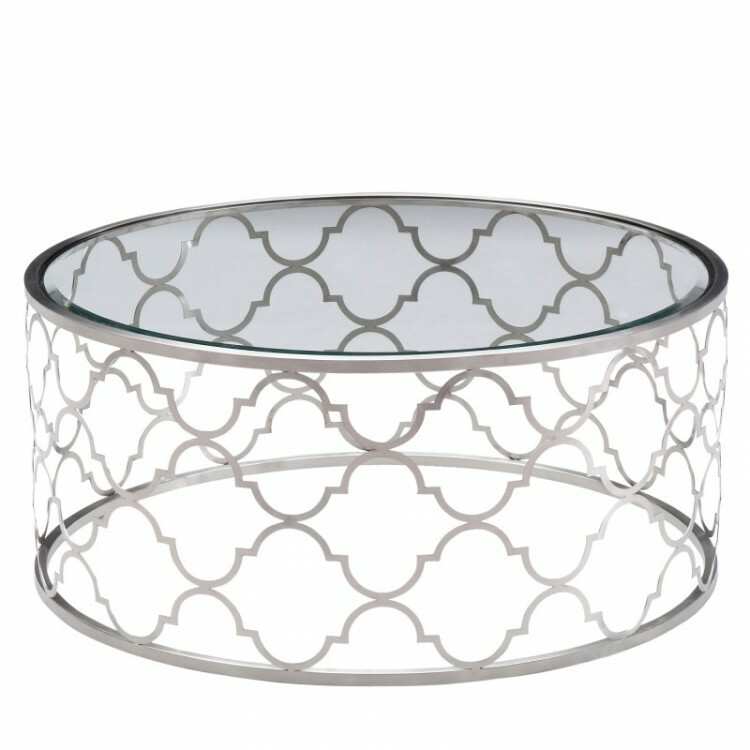 It is easy to move around, yet exceptionally sturdy and is perfect for small spaces that needs a functional and airy Occasional Table. This piece's beauty complements both transitional and the modern appeal of a contemporary living space.